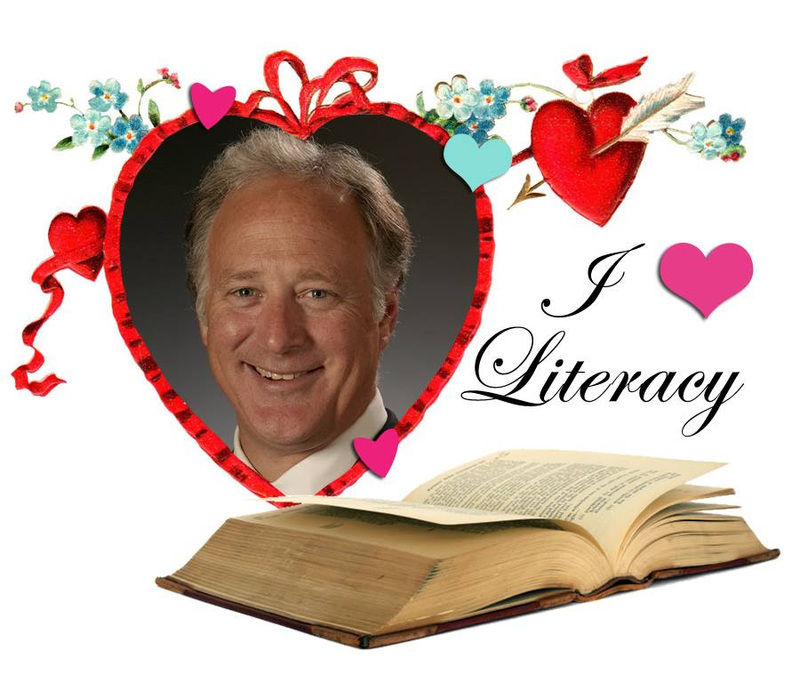 On Valentine’s Day, I declared my love for reading. Specifically, on my Facebook page, I declared my love for programs that help people read (more on those in a minute). I also asked folks what books they loved reading when they were younger. You had some great answers: a couple of votes each for Nancy Drew books, Little Women and A Wrinkle in Time; plus The Yearling, To Kill a Mockingbird, The Secret Garden, Alice in Wonderland, Where the Red Fern Grows, Robert Ruark books, the Narnia books, the Little House books, Space Cat, King of the Wind, Heidi,Rudyard Kipling books, Elsie Dinsmore books, Jack London books, and Beverly Cleary books. In other words, you’re a well-read bunch. Finally, toward the end of the conversation, someone made me declare my childhood favorites. I settled on my earliest one – called Me and Caleb – and a later hit, the Encyclopedia Brown series. 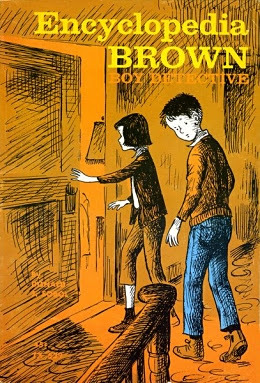 You remember Encyclopedia Brown? The boy detective? It was great – Sherlock Holmes in a “Leave It to Beaver” world (by the way, the over/under on the number of kids opening up Google right now to find out what “Leave It to Beaver” was is 116; place your bets). I remember one story where Encyclopedia Brown got to the bottom of an insurance scam after noticing that a new car – as it was going over a cliff or into a lake or something – had old tires. Turned out that the villain was so cheap (or ambitious, I guess) that he took off the new tires, sold them, and replaced them with cheap, old tires. I still find myself checking out tires of new cars occasionally. Because you never know. Anyway, this books conversation turned out a lot more fun than talking about what the GOP lieutenant governor candidates think about teaching creationism in public schools. So let’s talk some more about it. Please go to my Facebook page and let me know, in the comments section of today’s Watson Wire post, what your favorite childhood book was. Share the post – get your friends involved. You might help get another child reading. This morning, I had a chance to tour Communities in Schools of Central Texas’ essential ASPIRE program. ASPIRE stands for “Achieving Success through Parental Involvement, Reading and Education.” The program provides literacy services to parents and children to break the cycle of illiteracy and poverty. I visited the program’s new site at Travis High School in South Austin. I toured the place and spent some time with a sweet group of 3-year-olds (insert your own joke about preparing for the next legislative session). I read “I Went Walking.” Maybe it should be on the favorite books list. 100 percent of the enrolled kids (all in kindergarten-2nd grade) were promoted. 97 percent of kindergartners, first graders and second graders met their end-of-the-year reading standard. 74 percent preschoolers made progress on measures of pre-literacy English skills. 95 percent of parents demonstrated gains in parenting skills. And ASPIRE parents spent an average of 37 hours learning and helping in their children’s classrooms. It’s a great program. I’m so glad it’s here, and I’m proud of unique efforts like this one. It shows we’re putting families first in Central Texas – no matter their circumstances. There’s a big need for good literacy programs here in Central Texas. In Travis County, 13 percent of adults age 16 and older say they struggle with reading or they can’t read. In Bastrop County, it’s 15 percent. It goes without saying that illiteracy is a brutal weight for someone trying to learn in school or find a job. But don’t forget it also can affect people’s health and quality-of-life too. Luckily, we have groups like the Literacy Coalition of Central Texas to help. The Literacy Coalition helps coordinate services across the community, promote public awareness, and raise money for programs. They do a phenomenal job. They show that as a state, Texas can do much better – and can be even greater – by ensuring its people know how to read. So you can bet that I’m going to make this a priority in next year’s legislative session. Expect to read more about THAT in coming editions of the Watson Wire. 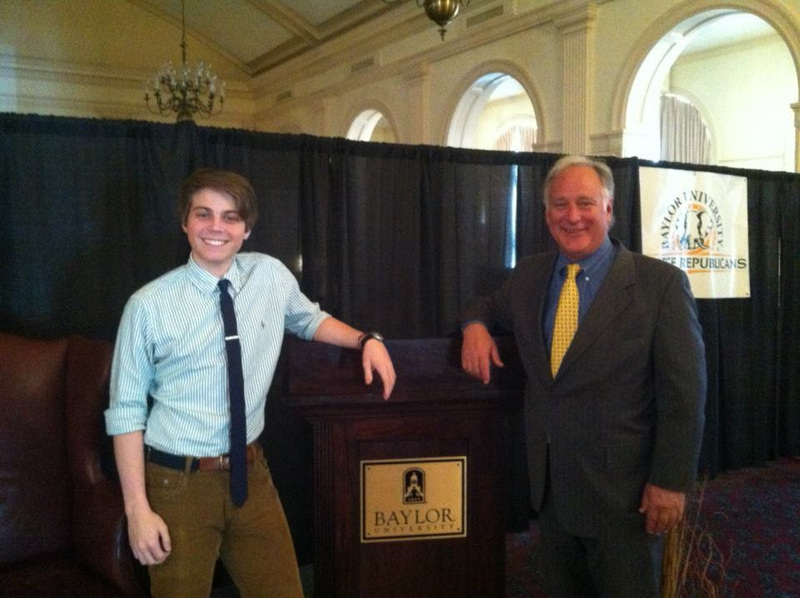 One last thing: I had a great day yesterday running up to the Baylor University campus to be on a higher education panel with Rep. Dan Branch and Baylor VP for Executive Affairs Karla Leeper. The panel was great, and the students who passed on the gorgeous weather to learn about Texas higher education policy asked great questions. And it’s always great to spend time with Cooper. I’m really proud of him, and he’s doing great.